Wireless security cameras are easy to instal and provide access to live feed without costing a bomb. Mayank Agarwal from Delhi was away on vacation when burglars broke into his home. But the Yi Home security camera installed there promptly detected the motion and sent notifications to his mobile. Agarwal accessed the recording and the live feed and got in touch with the police who caught the miscreants. Welcome to the world of smart security cameras which are affordable, can be placed anywhere and you can set them up yourself, unlike the traditional CCTV. Better still, these Wi-Fi-powered devices give you instant access to footage irrespective of your location. Take, for instance, the Yi Home Camera mentioned above. Priced at Rs 2,499, this handy surveillance system starts recording as soon as it detects human movement and notifies you in real time (there is a 30-second lag). The 111 degree wide-angle lens, 4x digital zoom and 720p resolution make it easy to identify faces in well-lit condition. It automatically shifts to infrared (IR) night vision mode when it is dark. 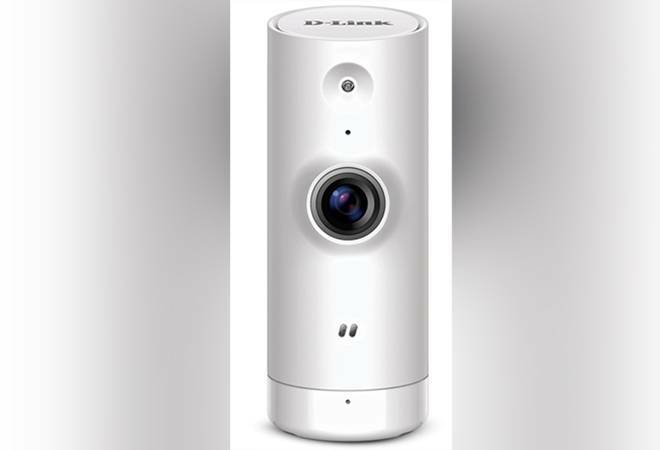 Yi Home also records voice while the two-way audio enables you to speak through the camera when you are away. If you are looking for more variety, try the Portronics SeeSaw II (Rs 2,499), which can be placed anywhere in your home/office, can capture footage at 720p resolution, offers two-way communication and stores the video recording on a microSD card. Setting up these cameras is super easy. Just power on the camera, instal the corresponding app and follow the set-up instructions. The camera gets connected to your home/office Wi-Fi network so that you can access the live feed on your mobile from almost anywhere. Some of these are wall-mounted while others work on flat surfaces. As these are wireless gadgets, all you need to run them is a plug point for power. You can also opt for one that powers up from a battery pack. However, they require wireless networks to generate live feeds and you need continuous, high-speed Internet connectivity to keep them running. They do work on slower networks but the feed quality is likely to be poor, and you may encounter some lag. Also, try and find out the kind of storage it offers. Some companies store your data in the cloud for a monthly subscription while others support microSD cards. The coverage area of a camera is crucial as well. A viewing angle above 110 degree is acceptable, but anything over 180 degree is ideal. The Yi Dome Camera, available on Amazon India, features 112 degree wide-angle advanced glass lens combined with 345 degree horizontal and 115 degree vertical rotation range to create a complete 360 degree advance coverage. You will also find a number of models, including the Yi Outdoor Camera (discounted price of $89.99 on aliexpress.com), which is weatherproof, has a deterrent alarm, supports 1080p resolution and has IR night vision for automatic colour switch filter in low light. The video quality is good as most of these cameras fetch feed at 720p resolution and upwards. As for low-light or dark environment, almost all of them switch to the IR mode. Also, they support two-way audio, which ensures that the feeds have a clear voice quality. Consequently, you can place a smart security camera on the front door and talk to visitors without opening the door and letting them in. China-based Sricam's SP007 is a waterproof outdoor variety (`4,999) which is IP66-certified and can capture live feed at 720p resolution. The camera lights up dark areas up to 32 ft with night vision, supports a 128 GB microSD card for data storage and overwrites older files with new ones when the card is full. D-Link, a popular name in the networking space, sells a wide range of smart cameras in India. The DCS-P6000LD Mini, priced at Rs 2,995, comes with a 120 degree viewing angle, can stream videos at 720p resolution and features built-in night vision as well as motion and sound detection. It is Alexa-compatible and supports automated back-ups using mydlink cloud recording if you pay for the service. The Nest Cam IQ Outdoor is one of the best in the business as it packs in a 4K sensor with high dynamic range and intelligent imaging and is capable of detecting a person up to 50 ft away. It records footage in full HD and features a familiar face alert with Nest Aware that can store videos for a month. You will find a lot of Nest cameras listed on Amazon India, but the Nest Aware cloud service is not yet supported in the country. However, it is best to buy from reputed global players, keeping in mind the risk of data breaches via apps or cloud storage.